Many of us, without knowing it, give healing to our animals on a very simple level just by loving and caring for them. There are times, however, when environmental, physical and emotional influences cause dis-ease in the body. These in turn can lead to the manifestation of symptoms in the body as it attempts to bring to our attention the developing disharmony and unbalance. The universe and everything created in it is energy, and that includes us and our animals. This energy vibrates at different frequencies and the frequencies produce “form”. The body is like an orchestra with each instrument or body part playing a slightly different tune (or frequency) but all together producing a harmonious sound. However, if instruments become out of tune or a body part changes in frequency, there is disharmony. The conductor can address this by stopping the orchestra, giving space and time for the instruments to re-tune. The body’s conductor is its innate intelligence, which knows where and in what order “re-tuning” needs to take place to bring the body back into balance again. In this way the body is in full control of its own healing. 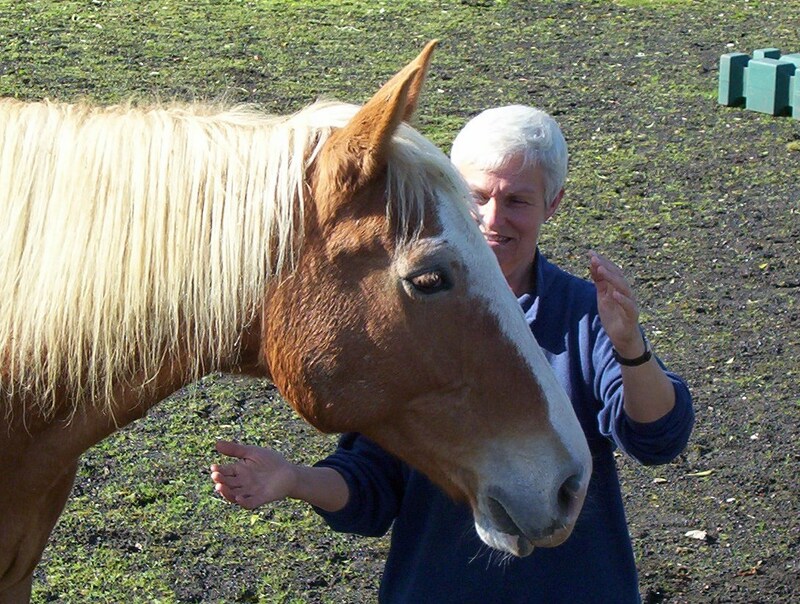 As a healer working with animals, awareness of space and stillness, and a knowledge of how energy and the body works, is helpful to support this process of healing. Re-balancing takes place on many levels. The animal’s body is able to respond at a deeper level to our awareness. Acquiring skills in assessing both the behavioural and psychological aspects of an animal enables us to be better equipped to deal with specific problems and to help and support their carers. They also help us to stay safe; cats can scratch, dogs bite, horses kick, but if we understand their body language we can avoid potentially difficult situations. We work “hands off” in most cases; if an animal wants contact it will ask by placing its body against our hands. Prey animals prefer to have that space because their energy field is so expansive. For example, a deer’s space is more specific and larger than that of a horse because it is still wild whereas horses are domesticated. Animals have many similar emotions to humans such as fear, joy, sadness, anger and love, but their instinctual responses to survival are far more active than in us. They want us to respect them for who and what they are, and to acknowledge that we share many mammalian characteristics, without humanising them. By behaving in this way there develops a mutual respect and ease in the healing relationship.